Buying a handmade willow basket can be very expensive. On the other hand, making your own will cost you little more than your time. My two natural willow baskets are as beautiful as they are functional. I admire them every day in the house and when there’s wild edibles or apples to be collected, they serve the task perfectly. My friend John “Dog” Callister made the baskets for me and after using them I wanted to learn how to make my own. The last of the videos in the series is the one I think you should begin with. 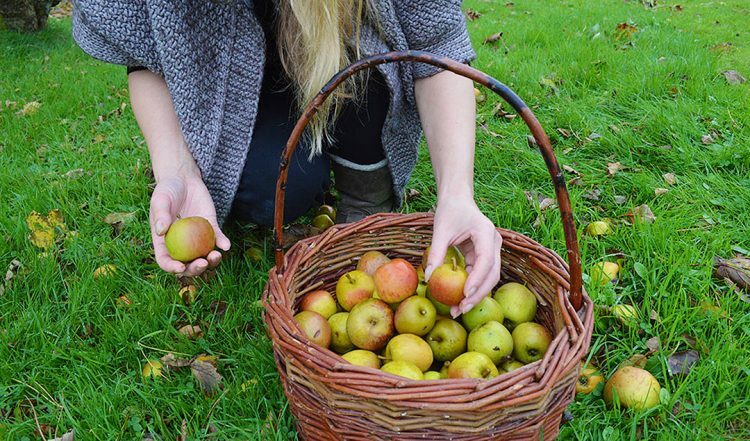 It shows what the basket looks like over time and how I use it to collect apples. It’s interesting to see how the bright yellow willow we began with changed to a russet but the soft grey held its colour. The video follows with the last steps to finishing off a handmade basket including attaching the handle. This is a sit-down casual chat with John “Dog” to discuss how much time and willow it takes to make a basket. It takes him just over an hour to make a small basket but students in his classes will take 2-3 hours. 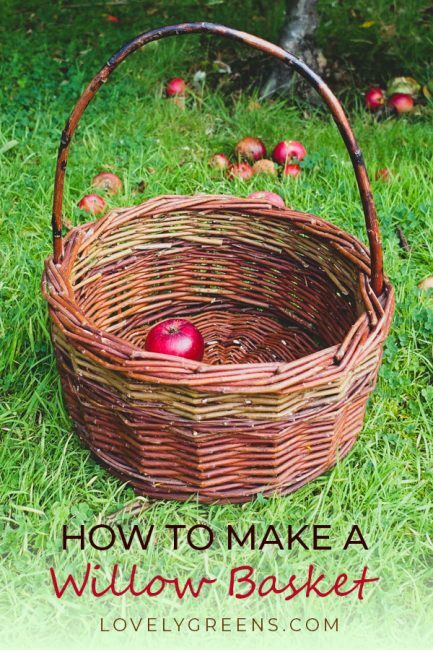 Be prepared with 100 pieces of willow when you go into making a basket — it really takes that much! This part outlines how to create the base of the basket. Tools you’ll need to create a basket include secateurs, a weight, needle nose pliers, and a fid. With the base complete, the second part continues with attaching the uprights and creating the sides of the basket. Finishing with a simple weave at the top, you’ll move on to part 3 to complete the project. To see another of John Dog’s projects, head over to see how he makes simple willow Christmas wreaths. It’s so fun! What traditional materials are used in basket making in Australia?